The weather outside is frightful. Especially in Southern Illinois. So now you have all the time in the world to post comments to IDNR’s website. Today is Day 7 of the 45 day Comment period on fracking in Illinois. You’ve made it to the end of your first week. Thank you for your comments! Today’s comment is on the lack of provisions to address fracking in a tornado-ridden state. Comment: Number of draft regulations proposed by Illinois Dept. of Natural Resources describing safety measures regarding tornado strikes on fracking sites: ZERO. Number of tornados in Illinois in the last 10 years: 674. 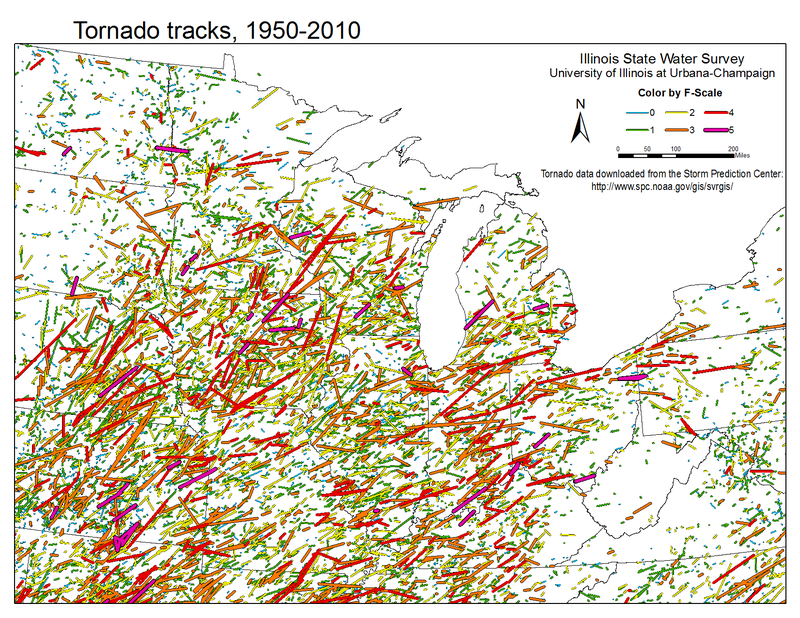 Historically, the number and intensity of tornadoes in IL is very high. “In fact, Illinois has experienced some of the worst tornados in US history.” Dr. Jim Angel, Illinois State Climatologist. A big swath of Washington IL was flattened by a tornado on Sunday, 11/17/13. What would have happened if this tornado had hit an area of the state covered in fracking sites? Debris from the tornado has been found over 150 miles away. Imagine if that debris had included “temporarily” stored flowback water or tanks filled with frack fluid or produced water? Go there and comment. More later. This entry was posted in air pollution, bad health effects, children and the environment, Energy Tough Love Blog, evil polluters, flatulence, fracking, old tired advice, pollution, Speculators, stewardship, waste, water pollution by DougNic. Bookmark the permalink.